A booming childcare business has now set its sights on the wedding industry. 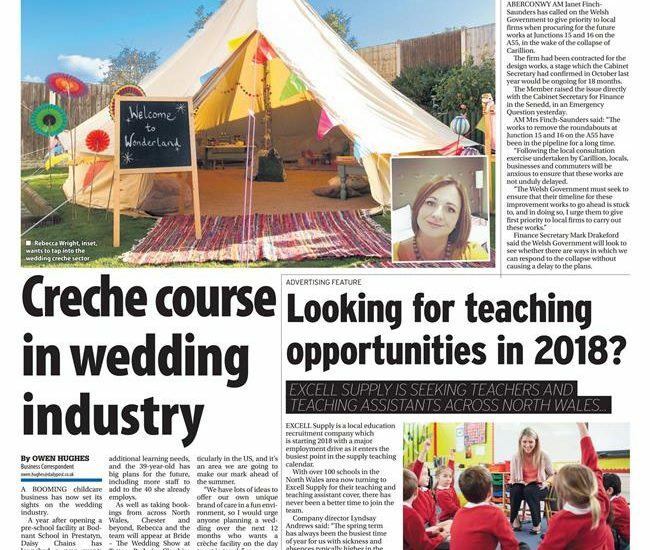 A year after opening a pre-school facility at Bodnant School in Prestatyn, Daisy Chains has launched a new events and wedding crèche service – Wonderland. Director Rebecca Wright has been at the helm of the thriving firm for a decade and now cares for more than 130 children at Bodnant and the company’s Marine Road nursery.